The people of the Bible used cisterns regularly for their water supply. Rainfall was limited, coming only five months of the year from November through March. People would dig pits into the rock, sometimes entirely underground (as in the cistern at the Old Testament city of Arad) or in the ground and covered with a roof (as in the cistern at the New Testament city of Korazin). The walls of the cistern were plastered (as seen here) to prevent the water from seeping out. An area would be prepared to collect the water (e.g., a rooftop, a courtyard, or even a street), and the water would be channeled into the cistern. It was fresh water, but not particularly clean. If a cistern decays or collapses, it no longer can hold water. This replica has been constructed based on the remains of a first-century boat found recently in the mud of the Sea of Galilee. It is considered to represent the type of boat the disciples used for fishing and in their travels across the sea. It is 26 feet long and seven and one-half feet wide. It is made of wood, and the planks are joined with mortise-and-tenon construction. The boat would have had a small sail and a crew of five. Four crew members would have used the two pairs of oars while the other person steered. The sail would also have been used. The boat is large enough to have held several people besides the crew members. A cushion could be placed on the small deck at either end of the boat so someone could sleep. The sides of the boat are low to make it easier for the fisherman to cast their nets over the edge and then pull them back. Waves did not have to be high to threaten the boat. This room was the center of family life. It was probably used for eating, for storing food, and for socializing with extended family. Guests could be invited in if the weather was inappropriate for dining outdoors in the courtyard. A small wooden table stands in one corner. Wealthy people reclined as they ate, while poorer people sat on the floor or on small benches. Food was served on pottery plates or in pottery bowls. Apparently, Jewish laws of "clean" and "unclean"commanded that different pottery be used for various types of food (to prevent mixing meat and dairy, for example), so cleaning the serving and eating implements was important. Beyond the room is a small chamber in the floor, providing a cool area for storing grain, wine, or oil. Branches above provide a ledge for storing food items. The walls and floor are typical of the houses Jesus knew. This kitchen is near the door of the house. 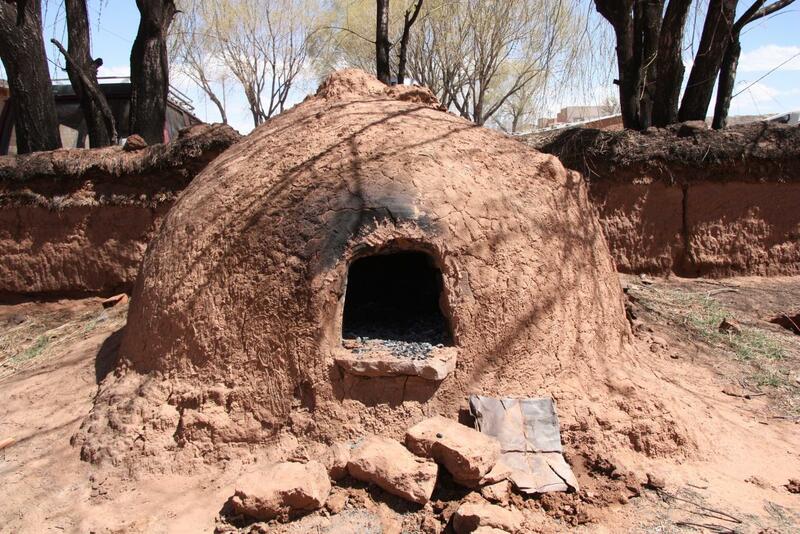 A domed oven has been reconstructed; it was probably used for heating and cooking when the weather was cold. There would be similar ovens outside for use at other times.The outer part of the oven gathered the heat and smoke to be exited through the chimney. The fire was placed in the inner part. Animal dung, the pulp of pressed olives, and small branches were used for fuel. A cooking pot rests on the inner oven. The top of the outer oven was used for storage. To the left of the oven are household implements for food preparation. The hand grinder was used to make flour from grain (wheat for the wealthy or for special occasions; barley for others). The baskets were made from reeds or palm leaves and were used for gathering or storing food. The large stone jar on the left probably contained water carried from a nearby well. Dried onions hang from the ceiling. An engaged bride would spend much time here with her mother, learning the skills of collecting and preparing food. The roof of this house is made of wooden beams covered with tree branches; on top of the branches is a layer of clay. Capernaum homes had this type of roof (the lame man's friends let him down through an opening in on of them), while those of Korazin had stone slabs instead of branches. During the rainy days, the clay would absorb the water, sealing the roof so the rest of the rainwater ran off. Each year the roof needed to be repaired. In some cases, the roof became a "courtyard" where people worked and slept. - Know God's Word and Jesus interpretation of it. 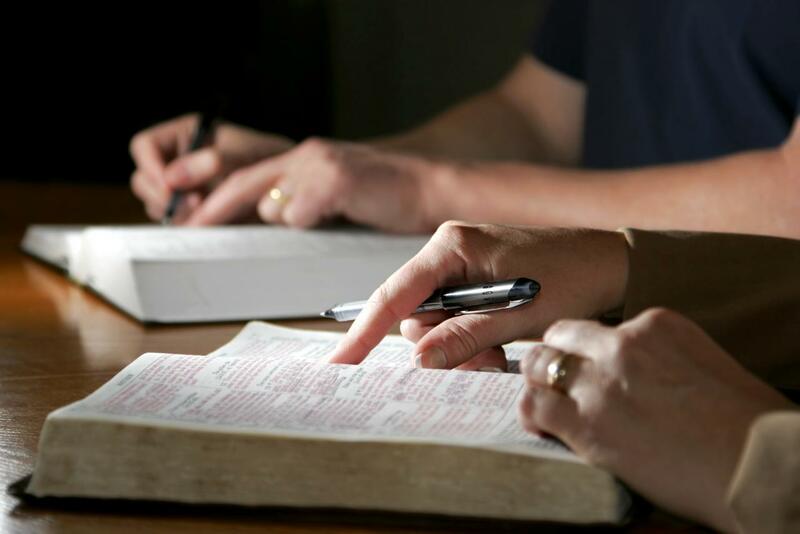 - Be passionate in our devotion to that Word and Jesus example. - Follow him even if we are not sure of the final destination. - Live by his teaching, which means we must know that teaching well. - Be obsessed with being like him as much as is humanly possible. - Develop meaningful relationships with others so that they will observe us and seek to imitate our love, devotion to God, and out Jesus-like lifestyle. (See 1 Corinthians 2:16; 11:1; Galatians 3:26-27.) By God's grace, people with totally committed relationships to Christ can change the most pagan culture including our own. Hellenism the dominant worldview in the first century, stands in stark contrast to the truths of God found in the Bible. Human beings are the image of gods. Only God is God. He is the Lord of the Universe, the creator of mankind. The human mind is the greatest source of wisdom. Human beings determine truth; what is right and wrong. God, the source of truth, has given us the standards to determine what's right and wrong. Human acomplishment is the goal of life. The goal of life is to glorify and serve God. The human body and what human beings create is the highest standard of beauty. Human beings create beauty because they are made in the image of God. In the Middle East, floods in the desert are a frequent occurrence because of the topography of the land. The mountains to the north of the Negev and to the west of the Judea Wilderness get significant amounts of rainfall during the short rainy season. The soil of the mountains cannot absorb this amount of water, so it runs off into the arid wilderness. This photograph shows the effects of floods in the desert. Though the walls of this wadi are especially steep, the tracks made by rushing water are clearly seen. The wilderness has many of these dry riverbeds, which become larger as they get nearer the Dead Sea. Floodwaters leave behind sand and gravel. Jesus' story of the wise man who built his house on the rock and the foolish man who built his house on the sand (Matt. 7:24-27) is probably based on this phenomenon. According to the parable, a man built his house on the sand, in a flood zone. The rains fell, the floods came, and the house was destroyed. Another man build on the rock, out of the flood area, and the rains, though severe, had no impact on his house. Imagine someone building in the wadi pictured here. Jesus' audience must have chuckled at this story. When a flood does occur in the desert, it is amazing to behold. The sky is clear, the sun is shining, and suddenly a wall of water roars through the narrow canyon. Anyone unfortunate enough to be in the wadi is washed away, an all-too-frequent occurrence for shepherds and sheep in this region. 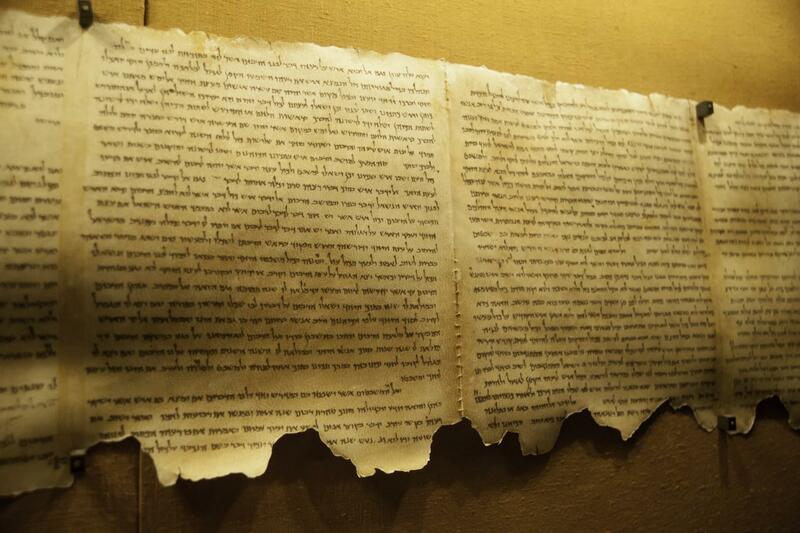 The Dead Sea Scrolls have been called the greatest archaeological discovery of modern times. They have dramatically enhanced our understanding of the world of the New Testament, the teachings of John the Baptist and our Lord Jesus, and the early church. They have also confirmed the truth of the Bible. Certainly their discovery was not by chance. The same God who had inspired some of the books contained in the scrolls also preserved them for the future of the people who carry his name. In 1947, near an old ruin that was later identified as Qumran, Bedouin shepherds rounded up stray goats at the foot of barren cliffs. One shepherd noticed a small cave opening, threw a rock inside, and heard the sound of pottery breaking. 'After an excited discussion of possible treasure, the shepherds decided to return later, as it was getting late and the goats had to be taken home. The next day, Mohammed edh Dhib squeezed into the cave, which was littered with broken pottery. Ten jars were still intact, some with their bowl-shaped lids still in place. Two of the jars contained a large scroll and two smaller ones, which the disappointed Mohammed showed to the other shepherds. Little did they know they had just discovered incredible treasures-the book of Isaiah, the Manual of Discipline (describing Qumran community rules), and a commentary on the book of Habakkuk. Mohammed hung the scrolls from his tent pole for several months, then sold them to an antiquities dealer in Bethlehem named Kando. Kando found the cave and located additional scrolls. After showing them to church officials in Jerusalem, he sold the three original scrolls to a Jerusalem antiquities dealer named Samuel for less than $100. As church officials consulted scholars about the ancient Hebrew texts, word of the discovery spread. Professor E. L. Sukenik of the Hebrew University purchased Kando's additional scrolls, recognizing their antiquity and their immense value for understanding the period during which they were written. The Bedouin from Mohammed edh Dhib's tribe soon located more caves near Qumran containing additional scrolls and scroll fragments. Soon an official archaeological investigation was launched, and the caves and nearby ruins were carefully examined. The archaeologists found evidence convincing them that there was a definite relationship between the nearby ruins and the scrolls found in the caves. Especially convincing was the discovery of pottery within the ruins similar to the jars found in the caves themselves. Many of the scrolls were small fragments that had to be carefully pieced together. In many cases, only a few fragments exist from an entire scroll. For this reason, the process of deciphering the scrolls has been painstakingly slow. Most scrolls were unavailable to the public until over 40 years after their discovery by the Bedouin shepherds in 1947. The Dead Sea Scrolls contain three types of literature: (1) copies of all the Old Testament books except Esther; (2) Jewish writings such as the apocryphal book of Jubilees; and (3) specific writings from the Qumran community such as commentaries interpreting the Old Testament, liturgical writings and hymns, and rules for community conduct. More than 800 separate scrolls are represented, though many only by fragments. The most common material of the scrolls was parchment, a "paper" made from animal skins. Since parchment is more durable than papyrus (made from the leaves of the papyrus reed), these scrolls are in much better condition than the few surviving papyrus fragments. The extremely dry climate of Israel's wilderness aided in their preservation. The most well known scrolls include: (1) the Isaiah Scroll, which is nearly intact; (2) the Copper Scroll, which describes 64 locations where Temple treasures were hidden (3) the Habakkuk Commentary, which applies prophecies of God's judgment to the Romans and those who resisted Essene beliefs; and (4) the Manual of Discipline, an important description of Essene community rules.Many books of the Bible were included in multiple scrolls, indicating that these writings were most widely used by the community:-the Psalms (on 36 scrolls)-Deuteronomy (on 29 scrolls)-Isaiah (on 21 scrolls)-Exodus (on 17 scrolls)-Leviticus (on 13 scrolls)-Numbers (on 8 scrolls). The Dead Sea Scrolls represent the most spectacular archaeological discovery of modern times, and the impact of these writings on the Jewish and Christian communities continues to be significant. Until the Dead Sea discoveries, the oldest copies of the Hebrew Bible dated to around A.D. 1000. 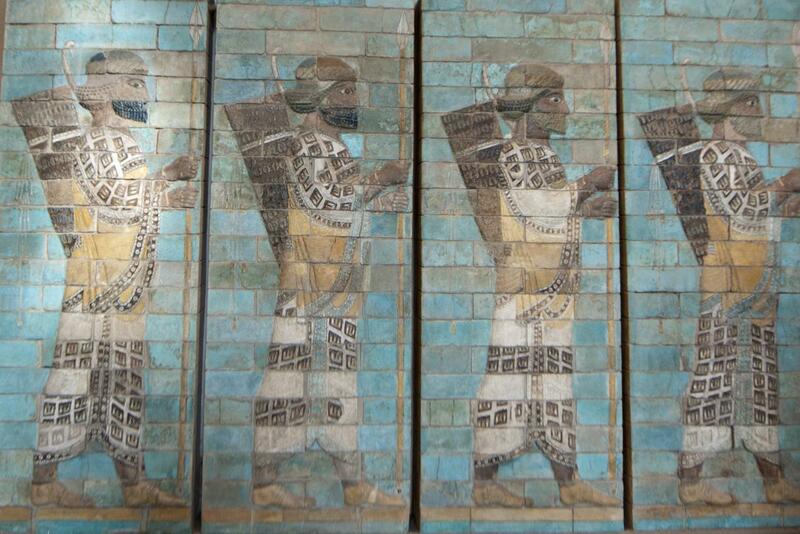 The scrolls take us back beyond 100 B.C. '%uFFFD But amazingly, scholars have found few differences between the old and new texts-most involve spelling changes.Truly, "All Scripture is God-breathed" (2 Tim. 3:16) and God has preserved the integrity of his Word. The scrolls also give striking insight into the theological and cultural setting of Jesus' life, the early church, and the history of Judaism. While the perspective contained in the writings belongs to one small community, there are remarkable similarities to the teachings of Jesus, Paul, and the early Christians. Understanding the theological context of Jesus' life and the early church helps us to better understand their teachings. It also affirms God's careful planning to ensure that the theological context of the New Testament was perfect for Jesus' ministry and the spread of the gospel. In the Qumran community, the Essenes created several cisterns that, as shown here, were plastered and had steps to allow them to access water. At least two of these cisterns are believed to be mikvoth, ceremonial or ritual baths used for actual cleansing.Impurity resulted from a variety of conditions, some of which are listed in Numbers 5:1-4 (e.g., touching a dead body, having a skin disease or issue of body fluid). More important, these baths indicated the spiritual cleansing the resulted from repentance and forgiveness (Matthew 3:6, 11). The Essenes apparently believed that any breaking of God's law required cleansing, which the mikvoth symbolized. While there are several Jewish practices that provide a foundation for baptism, the Essene mikveh practice certainly contributed to our understanding of the meaning of the ritual cleansing. This photograph is taken from the hills north of the Sea of Galilee, looking south. The sea is nearly 13 miles long and more than seven miles wide. The area in the foreground is the northwestern corner of the sea, where most of Jesus' miracles were performed (Matt. 11:20-24). Hidden below the hill are the remains of the ancient cities of Korazin and Capernaum.Across the sea, one can see the high hills where the pagan Decapolis of Jesus' time was located. Jesus sailed across the sea from the area in front of the Decapolis. On his way across the lake, he stilled the storm. When he arrived at the other side, he met a man from whom he cast out a legion of demons; the demons entered a herd of pigs that promptly ran off and a cliff into the sea (Mark 4:35-5:20). Ancient Anchors these stone anchors were found in one of the ancient harbors in the area of Galilee. Each is a large piece of basalt in which a hole has been made and to which a rope has been attached.These anchors would have been thrown into the sea to hold a boat in position while the fishermen worked. Jesus' disciples would have been quite familiar with such anchors. Many of these anchors have been found in the Sea of Galilee. They have become symbols of hope for Christians (Heb. 6:19). The town of Arad is not important in the sense of great Bible events, but it does give a sense for the lives of common people during the time of Israel's monarchy. The ruins of a small temple from Hezekiah's time are significant in understanding the nature of the great Temple in Jerusalem. Arad stands in southern Israel, in a portion of the Negev Desert that receives very little rainfall. The wilderness area was the land of the shepherd. 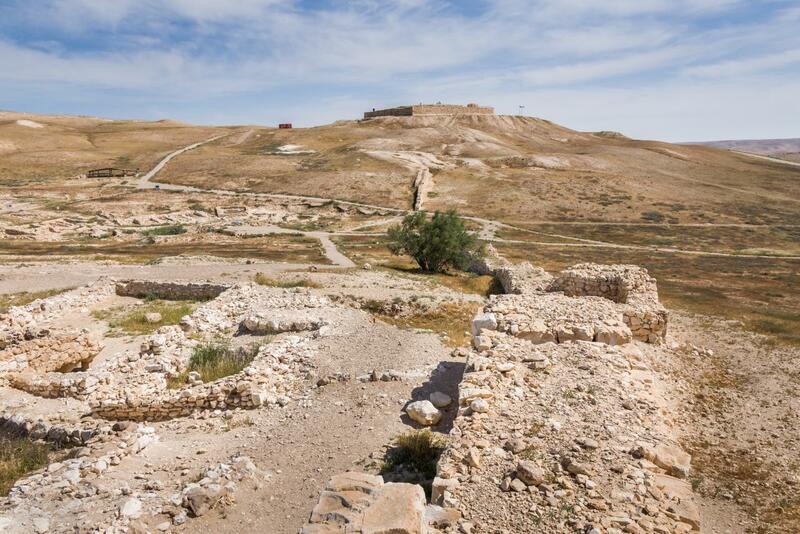 As far back as 3,000 BC, a large Canaanite city stood at Arad. This city probably existed when Abraham and his family lived in Beersheba, a nearby desert region. Arad was eventually destroyed, possibly by Joshua, and then rebuilt and fortified as part of Israel's southern flank. Today, the ruins of this fortress city stand next to the Canaanite city ruins below. During King Hezekiah's reign, Arad was told to destroy their temple. In an effort to end pagan worship, Hezekiah ordered the destruction of all high places except for Jerusalem's temple, regardless of whether they were built to honor God or Baal (2 Kings 18:22). The devout worshipers at Arad did not want to tear their temple down or use if for everyday purposes. Instead, they covered it with earth. Discovered thousands of years later, the remains of this temple are a treasure for biblical archaeologists. The remains of Israel's first temple lie buried beneath the present-day Temple Mount. But at Tel Arad, a city located in the Negev, archaeologists discovered the remains of a temple modeled after Jerusalem's First Temple. Although the temples of Arad and Jerusalem probably had some differences, both temples contained the same courts and accomplished the same worship functions. Based on biblical descriptions and the archaeological find at Arad, scholars have developed a helpful picture of the temple built by Solomon. (God's dwelling place) in Jerusalem contained the ark of the covenant, which held the Ten Commandments. In the temple in Arad, this area was reached by climbing two steps, symbolizing going up to God. (The Priests' court) was a rectangular room between the worship court and the Holy of Holies that contained the table of showbread, golden lampstand, and the altar of incense. This offering symbolized a thanksgiving gift to God as well as a request for his provision. Who worshipped her? She was probably the most worshiped deity in Asia and perhaps the world during Paul's time. By what other names was Artemis known? 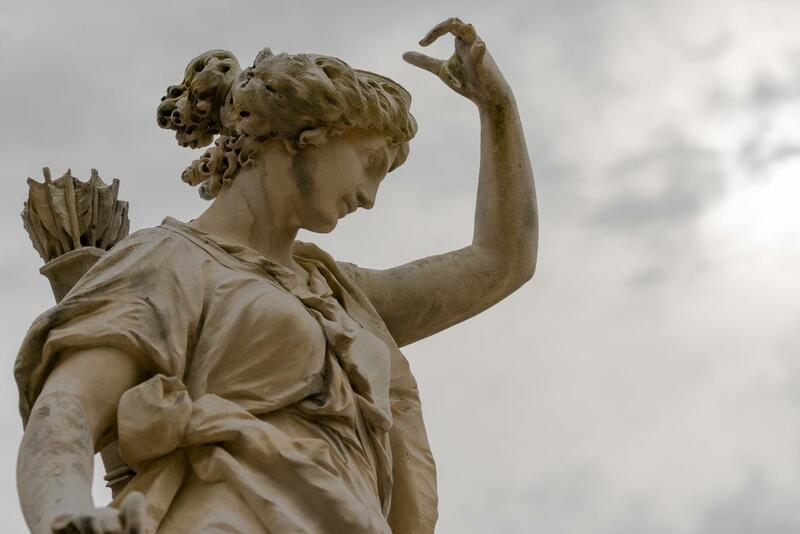 "Queen of Heaven", "Savior", and "Mother Goddess"
What role did Ephesus have in Artemis worship? Ephesus was considered neokoros for Artemis, which meant the city was the center for Artemis worship and responsible for maintaining the cult's purity of worship. How did Epheus benefit financially from the worship of Artemis? The cult brought great wealth to the citizens of Ephesus because the temple of Artemis became the world's largest bank during that time. What were Artemis festivals like? Devotees came from all over the world to worship and celebrate during her festivals. '�Huge processions honored her statues. Celebrations were held with music, dancing, singing, dramatic presentations, and chanting of allegiance. What were Artemis statues like? They portayed Artemis as having many breast- a symbol of her fertility. The main statue in her temple may have been a black meteorite because she was said to have fallen from the sky. How else do we know that Artemis was important to Ephusus? Two statues of her have been found in the Prytaneion- the "city hall" of Ephesus- indicating that she was considered to be the basis for life in the city. Circa 740 BC: Assyrian King Tiglath-Pileser began plundering the northern ten tribes, the nation of Israel (2 Kings 15:29). He destroyed many cities, brutally killing their inhabitants, and left Israel with only the capital of Samaria intact. Circa 735 BC: King Shalmaneser marched on Samaria after Hoshea, the last king of Israel, refused to pay tribute to the Assyrians. The Assyrians marched on Samaria, slaughtered its inhabitants, and destroyed the remainder of the northern kingdom. 722 BC: The ten northern tribes ceased to exist as a people. The Israelites who remained in Israel were forcibly mixed with other religious and ethnic groups and became the hated Samaritans of the New Testament. Those who were deported disappeared from history. The Assyrian empire was located in Mesopotamia near the Euphrates River. Their reputation was so fierce that Jonah fled in fear when God commanded him to speak in Ninevah, Assyria's capital (Jonah 1:1?3). Assyrian soldiers were equipped with the latest weaponry, including barbed arrows, catapults, and siege machines. They were known for ruthless battle tactics and horrific treatment of their captives. To avoid resistance, the Assyrian army intimidated their enemies by inflicting great suffering on conquered lands. Only individuals with special skills and abilities were spared. The rest were put to death,often in very gruesome ways. 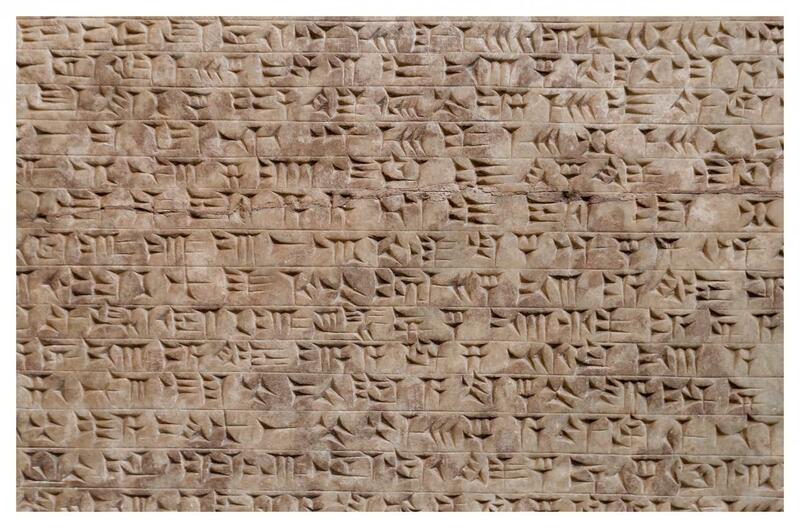 Assyrian kings prided themselves on their military conquests and often recorded their victories in writing (on tablets, clay cylinders, and obelisks). They also told stories of their conquests in pictorial reliefs that lined their palace walls. Tel Azekah is a five-acre site overlooking the Valley of Elah. The Judea Mountains stand to the east. The Mediterranean Sea, located about twelve miles to the west, can be seen from the tel. Archaeologists have identified at least four levels of civilization in the tel. 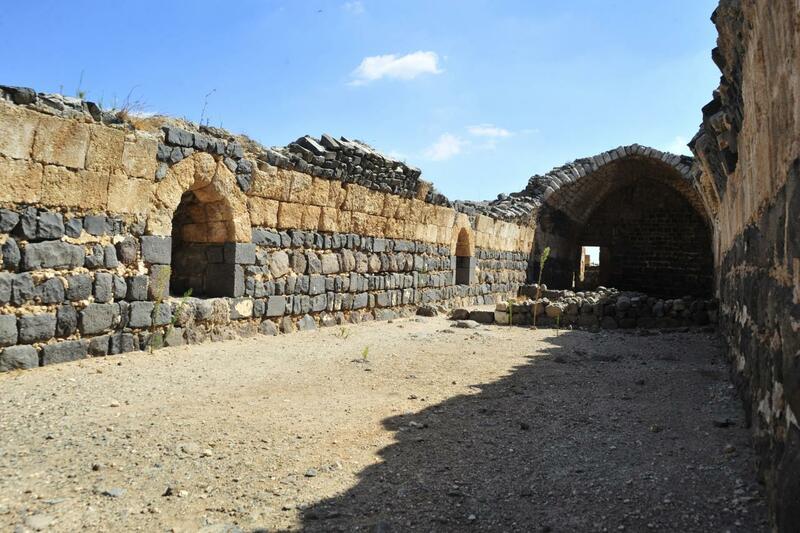 Significant finds include a large fortress possibly from the time of Rehoboam (920 BC), an olive oil production facility, and an extensive cistern system. Located in the Shephelah, Azekah guarded an important gateway to the mountains. The Valley of Elah provided access to Bethlehem-a mere twelve miles away, and Jerusalem. For that reason, the Philistines and other pagan cultures often tried to capture and hold Azekah. Even the great empires of the east, Babylon and Assyria, used the Valley of Elah to enter the Shephelah. After traveling down the coastal plain and into the valley, Assyrian King Sennacherib destroyed Azekah. Babylonian King Nebuchadnezzar also destroyed the city on his way to Jerusalem in 587 BC. The valley of Elah, which lies below Azekah, was the site of the battle between David and Goliath (1 Sam. 17). 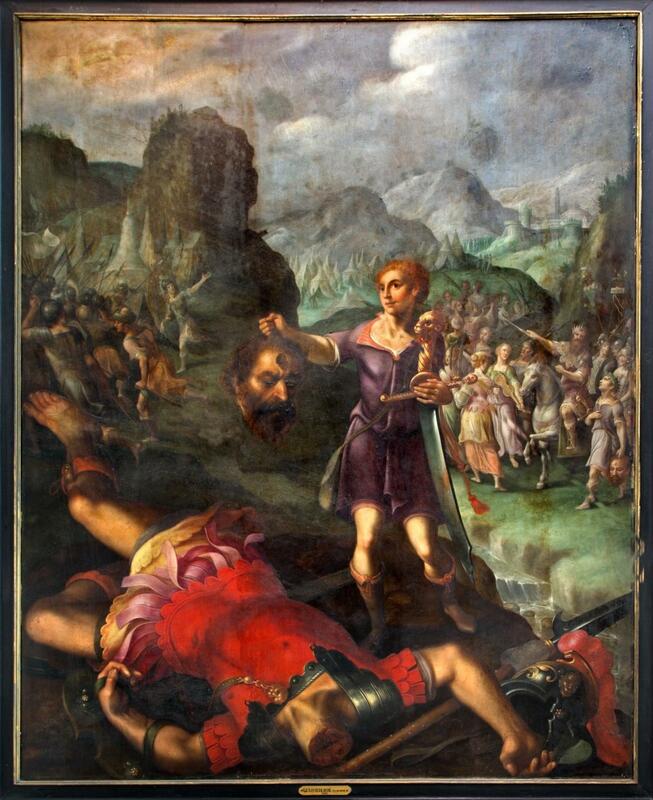 The Philistine army was camped near Azekah, while the Israelites were on the other side of the valley. Jesus frequently saw crushers and millstones like this one. 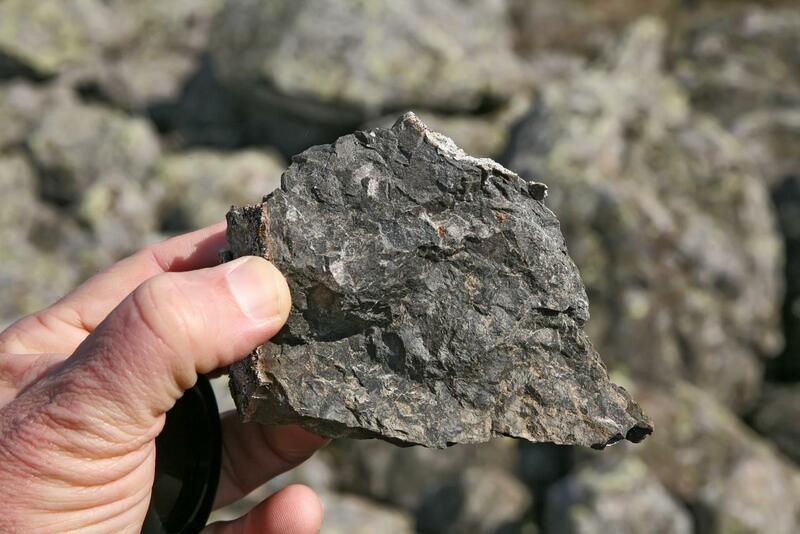 The basalt grinders are found in archaeological remains around the country. They were probably exported from the area of the Sea of Galilee. 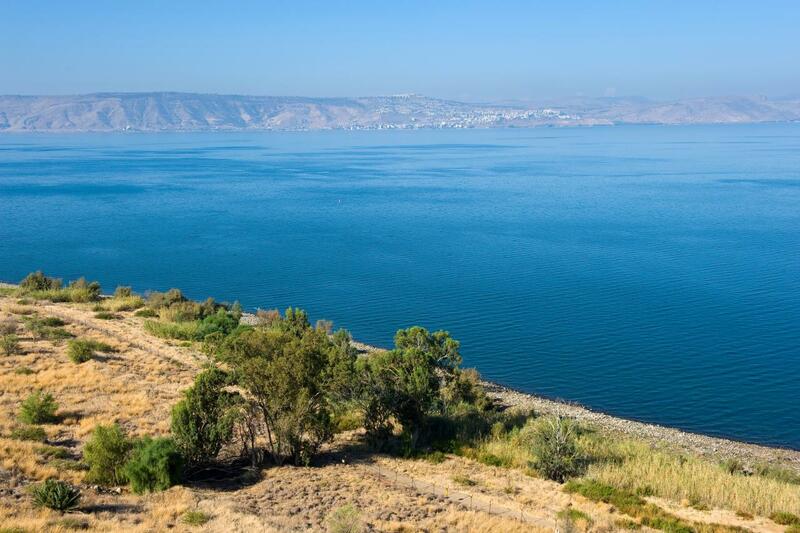 Jesus' teaching about being a proper influence on "little ones" or facing a fate worse than being thrown into the sea (the Sea of Galilee is barely 100 feet to the left) took place here (Matthew 18:6). The luxury of the mansions on the Western Hill is highlighted by this mosaic floored bathroom. On the left, a bathtub, partially ruined, has been restored. Many of the mansions in this area had several beautiful baths as well as mikvoth for ritual cleansing. Salt was very valuable during Jesus' day. It aided in the preservation of meat and enhanced the taste of food. But another less commonly known use of salt plays a key role in our understanding of what it means to be "salt" on our world. During the first century, the people of Galilee used dome-shaped ovens made of hardened mud. Salt was mixed with dried animal droppings: a common fuel, because the chemical reaction made the animal droppings burn hotter and longer. Over time, however, the salt lost the qualities that made it effective. So, when it was no longer fit even for being mixed with manure, the "saltless" salt was thrown out. As believers, God calls us to "mix" with sinful people and yet keep our distinctive Christian identity. God sent his disciples into an evil world to live out the good news. They were not to lose their faith by absorbing the values of the pagan world, nor were they to be isolated from unbelievers. Baal-Zebul was the god of the Philistines; the name means "Exalted Baal" or "Prince Baal." 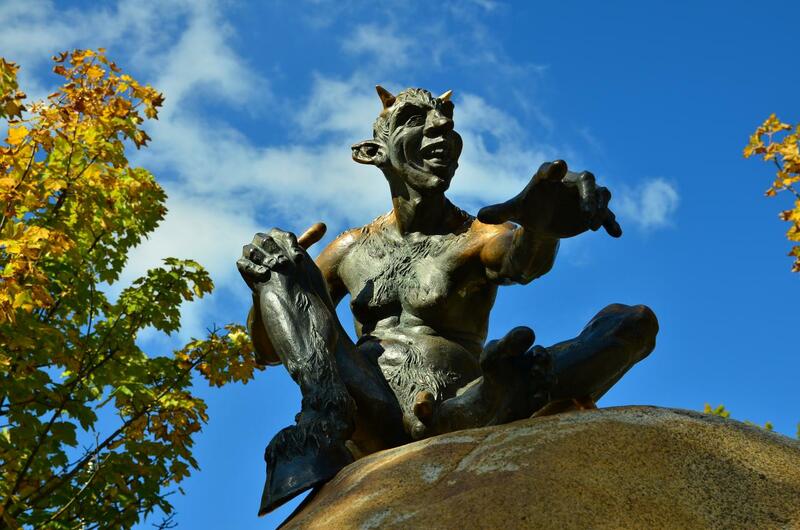 In the Greek language of the New Testament, the name becomes Beelzebub. Jesus used the name Beelzebub for Satan, the prince of demons. This usage seems to indicate that Old Testament Baal worship was satanic, a tool Satan used to draw the Israelites away from God. First and foremost, Satan is the enemy of God's plan for salvation. He has devoted himself to destroying God's plan of salvation since the temptation of Adam and Even in the Garden of Eden (Genesis 3). Satan tried to use Herod to kill baby Jesus (Matthew 2:13-18), and tempted Jesus at the beginning of his ministry, hoping that Jesus would compromise his mission (Matthew 4:1-11). How Did Jesus Confront Him? Jesus confronted Satan directly while he was on earth and had numerous confrontations with Satan's demons as well. The fortress of Belvior has both an outer fortification and an inner castle. A moat, hewn out of the same bedrock quarried to build the castle, encircles the structure on three sides. Towers stood in each corner and in the center of the outer walls so the archers could be closer to anyone trying to attack the fortress. Small postern gates led from each tower into the moat, enabling the knights to attack anyone trying to undermine the walls. The entrance is on the east. A huge outer tower defended the gate area.Inside the outer wall was a smaller fortress, or keep. It consisted of four vaulted walls (enclosing two stories) and a courtyard. Cisterns for water were dug beneath the vaulted rooms. The upper-story rooms were plastered and painted with colored frescoes. There was also a church on this floor. It was made of limestone and not basalt, like the rest of the fortress. Its chapel measured about 25 by 55 feet. One of the stones found there was formally used as a lintel in a synagogue and has a menorah carved on it. This seems appropriately symbolic. The Crusaders destroyed the worship centers of other faiths to build their own. In the process, they lost the opportunity to influence the world they lived in and damaged the reputation of Christianity for generations to come. 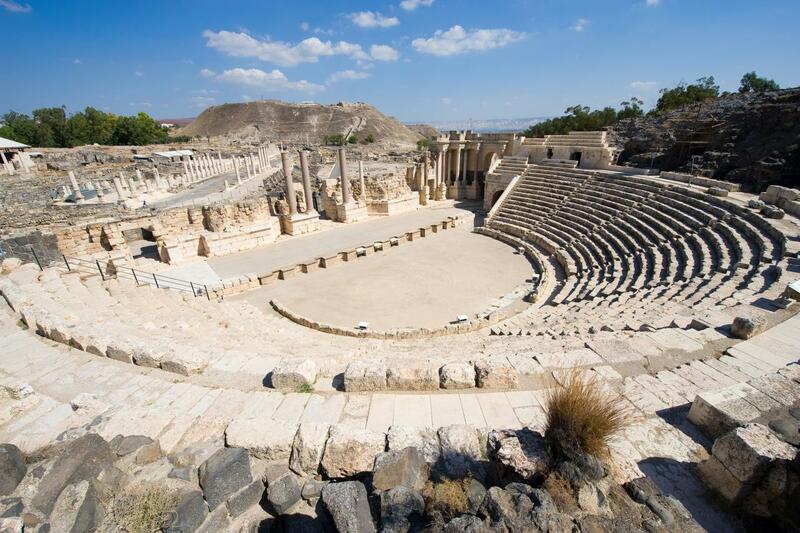 This view from the Old Testament city of Beth Shean shows the magnitude of the archaeological project and the glory that was Beth Shean in Jesus' time.Note the remains of a theater that seated approximately 7,000 spectators. Jesus is the only person in the Bible who used the word for actor "hypocrite" showing that his audience was aware of theaters like this one. You can still see the broad paved main street and the stairs of the Roman temple. Beth Shemesh, meaning "house of the sun," '�was a small town on the border between Judah and the Philistines. This is the place where the ark of the covenant came when it was returned by the Philistines (1 Sam. 6). Beth Shemesh stands in Israel's Shephelah-foothills lying between the coastal plain and Judea Mountains. Several broad valleys extend up from the coastal plain, through the Shephelah, and into the mountains beyond. The Shephelah valleys became a crossroads for commerce and culture in the ancient world. They formed natural trade routes linking the major powers of Rome and Egypt with the empires of Persia, Babylon, and Assyria. Whoever controlled the foothills could dominate the relationship between these powers. As a result, ancient people frequently clashed for control of these strategic valleys. Built by the people of the coastal plain, Beth Shemesh stood like a guardhouse over the Sorek Valley. According to Joshua 19, the Beth Shemesh region was given to the small tribe of Dan for its inheritance. But despite frequent fighting between the Israelites and pagans, the pagans were not driven out of the area.